Our goal is to connect people with the best local experts. We scored damage restoration companies on more than 25 variables across five categories, and analysed the results to give you a hand-picked list of the best damage restoration companies in Salt Lake City, UT. AAA Restoration is a Murray business that has more than 22 years of experience. The business is certified in upholstery cleaning, floor installation, odor control, carpet cleaning, fire clean-up, water damage, and mold removal. AAA Restoration is certified by the Institute of Inspection, Cleaning and Restoration Certification. AAA Restoration is a member of the Murray area Chamber of Commerce, ASCAR, and the Institute of Inspection, Cleaning and Restoration Certification. The business is HomeAdvisor Screened & Approved and offers free estimates. AAA Restoration is accredited by the Better Business Bureau and has an A+ rating. Customers appreciate their friendliness, quality of service, professionalism, work ethic, responsiveness, and honesty. Anchor Water Damage and Restoration is a Better Business Bureau accredited damage restoration specialist in South Jordan, Utah. They serve all of Salt Lake County with immediate services in the Salt Lake City area. The company is family-owned and operated, offering 24/7 emergency services for damage from flood, fire, and mold. Their technicians are certified, licensed and insured, working with all insurance companies and responding to emergency calls within one hour, any day of the year. Anchor Water Damage and Restoration also offers non-emergency carpet cleaning services. The service features recognition from several publications including Small Business of the Year from Chamber West and Best of the Best from Remediation and Restoration Magazine. Mold is a severe biological hazard. So Bio Clean of Utah has made it their goal to take mold remediation seriously. They specialize in mold inspection, testing for spores, and mold removal throughout the greater Salt Lake City, Utah area. Air duct cleaning services are also available. Bio Clean offers a variety of emergency restoration services for water, fire, or smoke damage. They also provide bio hazard and trauma cleanings such as blood or crime scene cleanups. Bio Clean understands the importance of safety and biological health. Their technicians are fully licensed and trained to remove all toxins keep people safe. Customers say they are efficient when handling jobs of all sizes. Delta Disaster Services is a Murray business that serves customers in Salt Lake South. The business offers services including mold testing, environmental testing, fire damage repair, smoke damage repair, flood and water damage repair, contents restoration, debris removal, odor elimination, property board-up services, dehumidification and drying, digital thermal infrared imaging, emergency cleaning, project management, construction. Delta Disaster Services also offers 24/7 emergency service. The business screens employees. Owner Shane McNight has almost 15 years of experience and is certified by the Institute of Inspection, Cleaning and Restoration Certification. He is an Advanced Microbial Remediation Technician. Delta Disaster Services works with insurance companies. The business is accredited by the Better Business Bureau and has an A+ rating. Disaster Doctors is a family-owned damage restoration company located in Salt Lake City, UT, and serving the surrounding cities. They can handle water, fire, and storm damage, as well as mold issues. Disaster Doctors are available at all hours to handle emergency cases, and they can be on-site within an hour. They have experience with residential and commercial properties. Their IICRC certified technicians have experience with water damage resulting from flooding, storms, and plumbing issues. Disaster Doctors acts quickly to remove excess water and restore affected areas. Customers are impressed with the response time and the skill shown in restoration efforts. Five Point Restoration helps customers in the Salt Lake City, Utah area recover from water, mold, fire, sewage, and wind damage. Their highly-skilled technicians are available 24/7 for both home and business emergencies. Five Point Restoration also provides services for small repairs, plumbing, vandalism, mold, and toxic chemical disasters. They strive to put customers first by offering speedy and professional service with unbeatable knowledge. The staff at Five Point Restoration works directly with insurance companies to create a streamlined experience for customers. Clients say Five Point Restoration is excellent to work with due to their timely service and professional attitude. Fixnou Carpet Cleaning and Restoration Contractors provides professional cleaning and restoration services to residents of Salt Lake City and the surrounding communities. All technicians are trained and certified in their respective trades, and attend continuing education seminars and undergo continuous training to stay current with new industry tools and techniques. They have 40 years of industry experience, making them extremely efficient and effective. Their services include carpet cleaning and repair, upholstery cleaning, stain removal, tile and grout cleaning, general contracting services, and more. They also offer water damage restoration, which involves inspection, water extraction using powerful pumps, structural drying and dehumidification, cleaning, sanitizing, and deodorizing affected areas, and performing a variety of property repairs when they are needed. The Flood Co. is a water damage restoration service company located in Centerville, Utah that serves Box Elder County, Davis County, Salt Lake County, Summit County, Tooele County, Utah County, Wasatch County, Weber County, Heber City, Utah, Logan, Utah, and beyond. This enterprise specializes in water damage restoration, smoke and fire damage restoration, mold damage restoration. The company works on common water damage events such as pipe leak, toilet overflow, water heater problems, dishwasher leak, freeze damage, sewer line back up, etc. It also performs mold damage restoration such as mold inspection, mold testing, and mold removal. The Flood Co. is a proud member of the National Air Duct Cleaning Association. 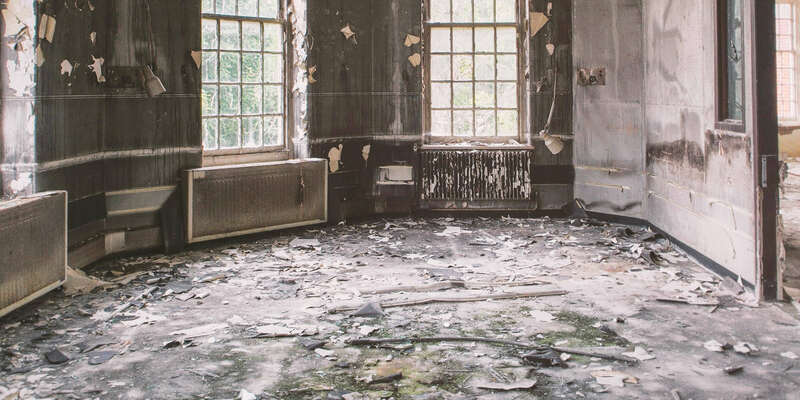 Utah Disaster Services, based out Salt Lake City, Utah, and serving the Greater Salt Lake City Municipal Area, is an expert provider of fire, water, and other disastrous damages remediation and repair. They have been in business for over fifteen years, and all technicians are fully licensed, bonded, and insured. Mold remediation services are also offered, and each of their remediation specialists is fully certified by the AMRT (AntiMicrobial Remediation Technician). Emergency services are available twenty-four hours a day for both residential and commercial clients, and Utah Disasaster prides itself on an absolute commitment to customer satisfaction. Sewage cleanup and carpet and upholstery services are offered. Utah Disaster Specialists is a damage restoration company in Centerville that caters to Davis County and several other neighborhoods in the Ogden Clearfield metro. The company handles residential real estate of any size, including studio apartments and luxury townhomes, and it uses powerful machines to deliver lasting results. The competent and trustworthy technicians undergo continuing training to stay current on industry trends, and some of their tasks are cleaning up flooded interiors, detecting and removing mold, recovering items involved in a fire, and ridding the air ducts of allergens and pollutants. Utah Disaster Specialists regularly receives good ratings from past and present customers, and its website features videos and photos of the team in action. The crew responds to emergencies 24/7.